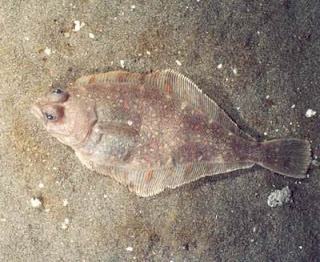 The Pacific Sanddab or Citharichthys sordidus is a Flatfish that is found in the Sea of Japan, Aleutian Islands, Bering Sea and other places in the Pacific Ocean. 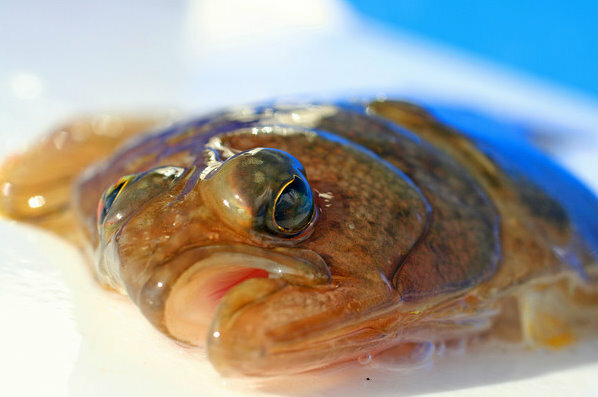 Like other Flatfish, they begin their lives with eyes on both sides of their heads, but this quickly changes and they end up with both eyes on one side. This odd trait helps them see their potential prey from the sea floor with ease. Pacific Sanddab are light brown in coloration with an oval body and very large scales. They can grow to about 41 cm (16 inches) and weigh in at 2lbs. They are sometimes known as Nottled Sanddab, Soft Flounder or Melgrim and are considered to be very tasty! This saltwater fish will feed on octopus, crustaceans and small fish and are normally found in depths of 50–150 meters. You can check out the Pacific Sanddab underwater in the video below. If you have any additional information about the Pacific Sanddab please leave us a comment below.